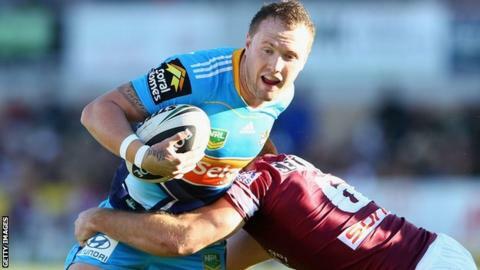 Hull FC have signed half-back Jordan Rankin from Australian side Gold Coast Titans on a two-year contract. The 21-year-old became the youngest player to feature in the NRL when he made his debut at the age of 16. He is Hull's seventh signing ahead of the 2014 season as they look to improve on last term's sixth-place finish. "It's a big move, but I'm looking forward to the opportunity and to the challenge of playing in the Super League," he told the club website.